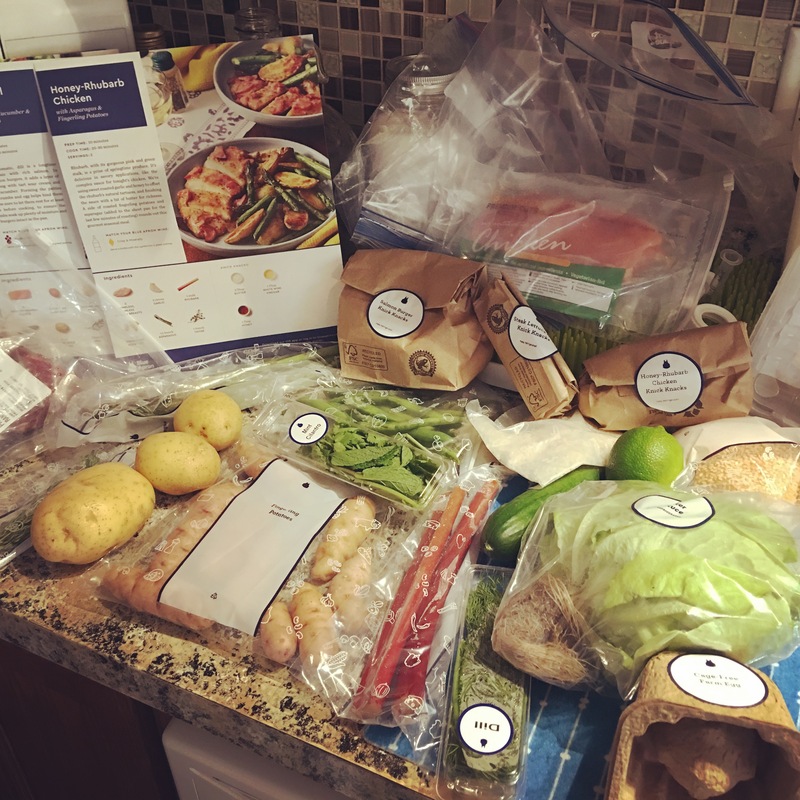 Blue Apron review – is it worth it?? Hey there busy friends! I know you have lots going on, and I do too, so I’m sure you’re looking for time-saving tips and shortcuts. I just met with a group of moms last night for our summer book study, and the consensus was that we just can’t get it all done! (book spoiler: you don’t need more time, you need more Jesus ;-)) All that aside, though, exploring practical helps is definitely worth it. 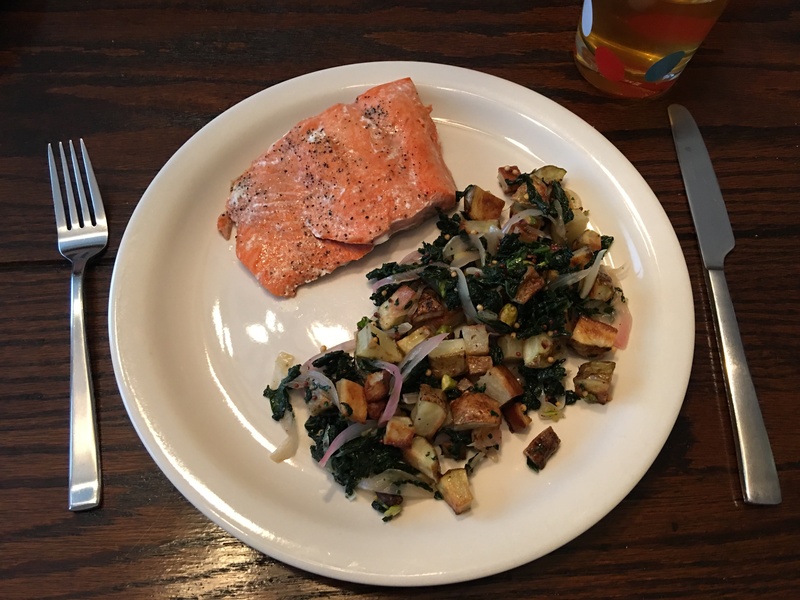 Here’s my lowdown on the Blue Apron meal service – you decide if it’s for you or not. 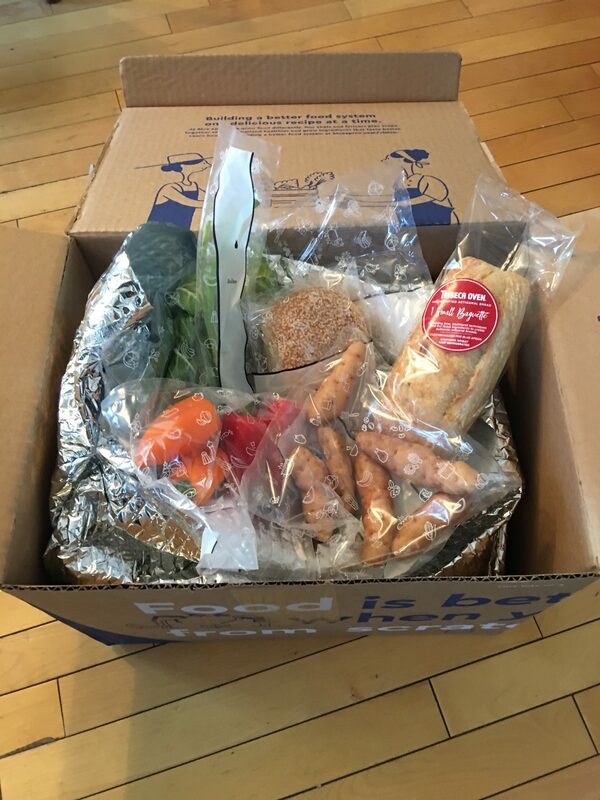 Who/what: Blue Apron is a meal delivery service that provides a box of pre-measured natural, farm-fresh (not organic) produce and pantry items for three meals. When/where: Weekly, if you like, or skip a week or two and jump back in when you’re ready! It comes right to your front doorstep in a medium size box (for two person portion) and nice big freezer packs that can be saved. The box will be fine to sit outside/inside a couple of hours if you are away, but I wouldn’t let it sit all day. Why: You want to have home-cooked meals and quality family time, but the meal planning, prep and grocery shopping takes more time than you have. Now I’ll give you a little free-form blurb on what I LOVED, liked, and didn’t like so much, and my final verdict on if we will continue this service. We both loved the gourmet taste of the meals – totally worth the price to get such amazing meals almost every time, and we both agreed it was tastier and cheaper than going out. Who doesn’t love getting real mail!? I especially like mail that helps me avoid shopping, because even though P is a better shopping passenger than a few months ago, with two naps still some days, it can be hard to get out. Finding time to plan meals can be tricky too, although there’s several apps that help! (More on Mealboard.com another time.) I loved getting a box of yummy fresh food in the mail. That excitement never wore off, and it was such a relief to know the planning, prep, and shopping were all done for me! What I LIKED: the packaging for what they call ‘meal knick knacks’ was cute, which involved tiny bottles and packages of pantry items that were pre-measured for that particular recipe. Think, speciality oils, vinegars, créme fraîche, and other goodies that I would never buy otherwise (or buy and only use a small amount, thus wasting much of it.) I also liked the meal inserts with helpful cooking tips, such as how to wash cast iron, the pollen crisis, or instructions on flash cooking green beans. It was always relevant and very interesting, leaving me feeling like a more experienced cook. Nice touch, Blue Apron! What I DIDN’T LIKE: The meals are time-consuming, more time than I would prefer, though not more than I would expect for a gourmet meal. When I say gourmet, I must add that I would still consider these easy/intermediate meals, and you don’t need any special cooking knowledge or paraphernalia to bring the yumminess to your table.It’s not difficult to skip meals, and they send you reminders that your meal is coming, however you have to stay on top of it because I just forgot to skip one and am getting some things this week we may not like! (You get to choose from a few meals each week, as to which you’d prefer to receive.) 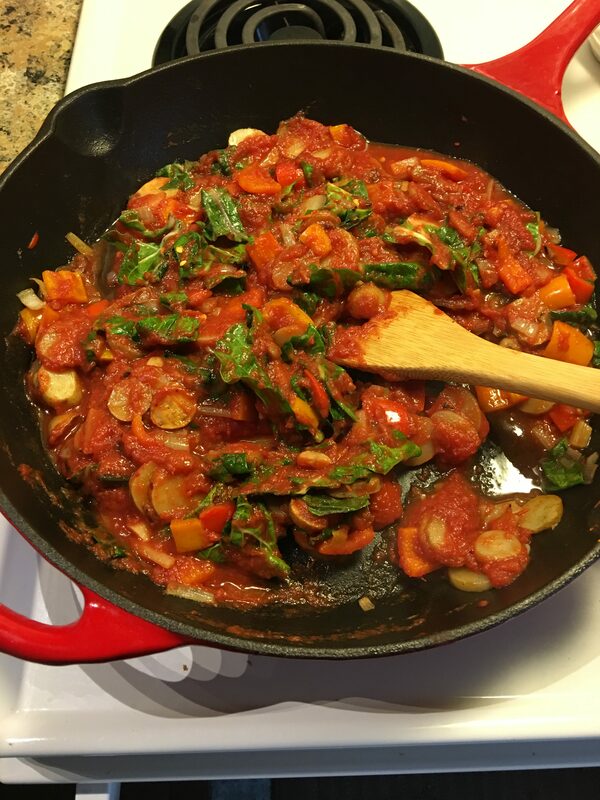 Blue Apron has added some quick/easy meals each week, so I was able to use those near the end of our trial period. I also didn’t like the cost. 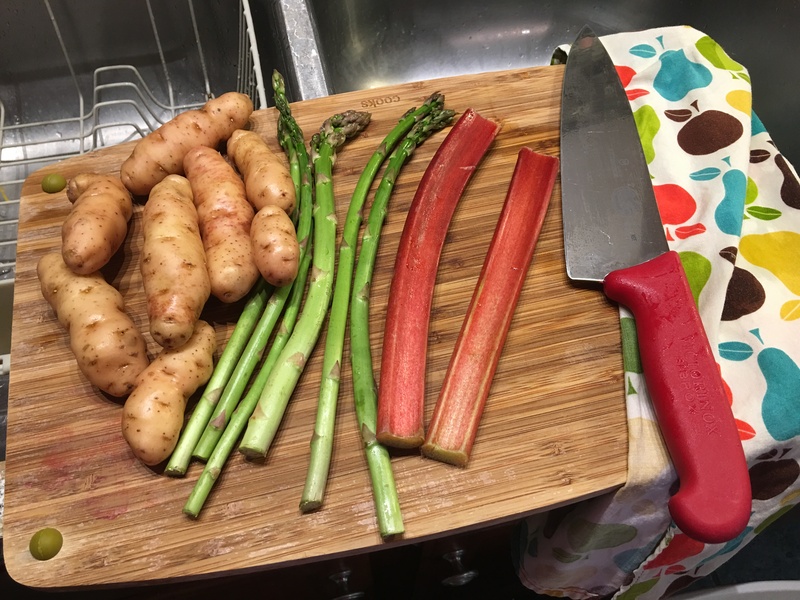 As I said previously, when you consider that these meals are easily gourmet-quality meals, and I learned so much (and made my husband a very happy man) while using this service, they are more expensive than I would pay on a regular basis. Final verdict: We did end up deactivating my account recently, and I would say the main reason was the cost and time involved. If you love cooking, but not the shopping, and you have plenty of expendable income, than I would say go for it! But at $59/week for only three meals and most meals taking at least 30-45 minutes, I’m happy to get back to my Instant Pot and spending less on my total grocery and household budget. What about you? Have you tried a meal service that you like? Please share in the comments! 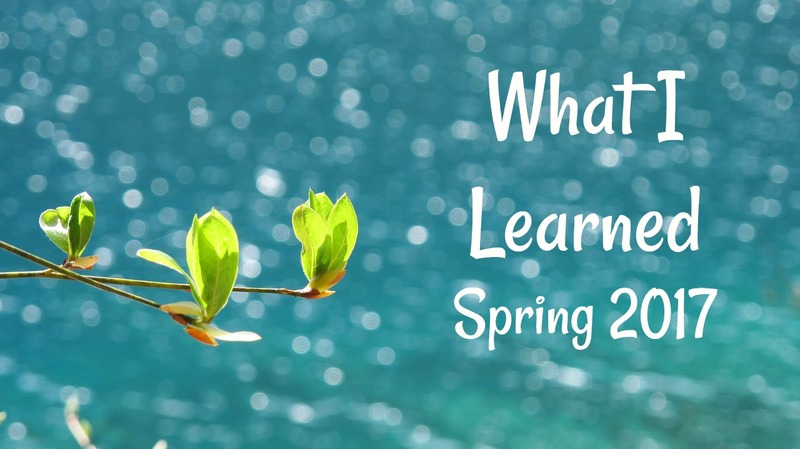 I love Emily Freeman’s ‘What We Learned’ Link Up and I’m excited to reflect on what I’ve learned! Writing is a good way for me to reflect on these things, so thanks for coming along! Boys will be boys – I have come to love hearing my husband and son playing together. There is a special bond there, that I don’t have with my little Sweet P, and it’s fabulous. I’m learning that it’s a relationship to honor, even if it’s messy, loud, or different. What things don’t you understand? Can we give them honor even if we don’t understand? I’m learning. And so thankful. Life is in the details – So often I’m waiting for the next big thing to get revved up about, something to lead, encourage, something bigger than me. But I’m reminded that the call of the Gospel reaches into even, and especially, the small everyday details. The washed dishes, wiping messy hands, washing underwear, and picking up one more toy all draw me back to Christ, if I allow them to. I don’t need to go looking for the next big thing to be involved in, whether work, ministry, or otherwise. I’m called to my now. That is where God is with me. The great I AM. It’s not about the food – We’ve enjoyed hosting family and friends over the past few weeks, and I’m reminded again that people don’t come for the food and finesse – those things will get done, and can be fun to fuss over – but not at the expense of relationship. This past month we enjoyed dinners, lunch time chats, and time with my mom (Grammy) and I’m so grateful God reminded me to rest, relax and enjoy. I have to take care of myself – and it’s not selfish – Life as a wife and mom has slowed in some ways, and picked up the pace in others. The middle-of-the-night waking is not as frequent, but I have a much more energetic little guy now! I’m finding more quality time with my husband than when he was working second shift, but this is often found over things we do to serve others – and that’s great! Just different. In all this, I have to constantly remind myself to take little breaks. Nap time is great for that – even if it’s just 20 minutes to read something, paint my nails, or take a quick shower before I need to get chores done. These little self-care moments remind me of my worth as a child of God – more on that in the next point. Scripture memory changes me – This past month I was invited by a new friend to memorize Scripture. I actually said HELP! and she invited me to join her :). This is not an easy thing for me, although 15 years ago I was quite adept at memorizing body parts and cell structures! Having accountability to memorize, and even just writing the bimonthly verse (that’s right, only two a month) on my kitchen whiteboard, has changed my thinking tremendously and I’ve experienced growth in areas where I never thought I would overcome sin. Philippians 4:8 is on my board now; over and over I am reminded of my worth as God’s child by the first phrase – thinking on whatever is TRUE. I am His child, no matter what thoughts the enemy throws my way. What about you? What have you been learning lately? Mother’s Day can bring all sorts of feelings, and they are not always pleasant. Maybe you want to be a mom and haven’t gotten there yet. Perhaps your spouse is not as invested as you’d hope or he/she is nowhere to be seen. You might be missing your mama, or an ‘out of the box’ child could be causing you pain. There’s a myriad of reasons you might ache on this weekend for moms, and I am no stranger to those feelings. I ached for a lot of years, waiting to get the ‘mom’ title. Sure, we moms love being moms most days, but this world is far from perfect, even on the best days. Do you resent the idea that you ‘should’ have babies but don’t want to? I’ve been there too. What are you longing for today? I’ll share part of my story, in hopes that it would encourage you on this good, and sometimes, hard day. We got married later in life, and then we waited for the ‘right time’ to have babies – definitely not an easy road, with a lot of longing and wrestling and discouragement. I actually didn’t desire marriage and babies as a young woman. But God had good plans for those seasons, changing my heart and preparing me to serve as a wife and mom. The many difficulties, including a miscarriage, led to sadness that gave way to despair some days. And my heart changed, really wanting marriage, and quickly after marriage, longing for children. Would I always carry sadness in my heart? Maybe you are waiting too. Or perhaps you have children, but in some way, your heart still aches. A difficult adoption, struggles with parenting, or financial concerns might tinge your joy in mothering too. The list is long. If so, my heart goes out to you. Waiting for a good thing is not easy. It’s not easy when the unknown looms long and hope goes knocking on someone else’s door, happy moms living the life you crave. Or even worse, you hear women complaining about what you would be delighted to enjoy. I get it. The question ‘why’ is hard to resist, despite the fact that God IS good, and all His plans for us are good and loving. That doesn’t mean we will get answers, and the hard fact is that God doesn’t owe us answers. I had to really wrestle with His goodness and sovereignty on my path to motherhood. How could a good God deny the gift of motherhood for so long? Could I live a joyful life even if this gift was not granted? Some days I wondered. But in the midst of it all, a contentment and joy apart from motherhood grew and developed, something that was not dependent on whether God gave us children. A deep sense of God’s goodness, and the knowledge that He can be trusted, was hard won but so satisfying. It’s in these hard times that our faith must grow, lest we fall to bitterness. The latter was not something I wanted, so I persevered and fought for joy. Many stood with me and finally the day came when I held our dear son in my arms. But your story might still carry an ache, and to be perfectly honest – ours certainly carries them. What about you? 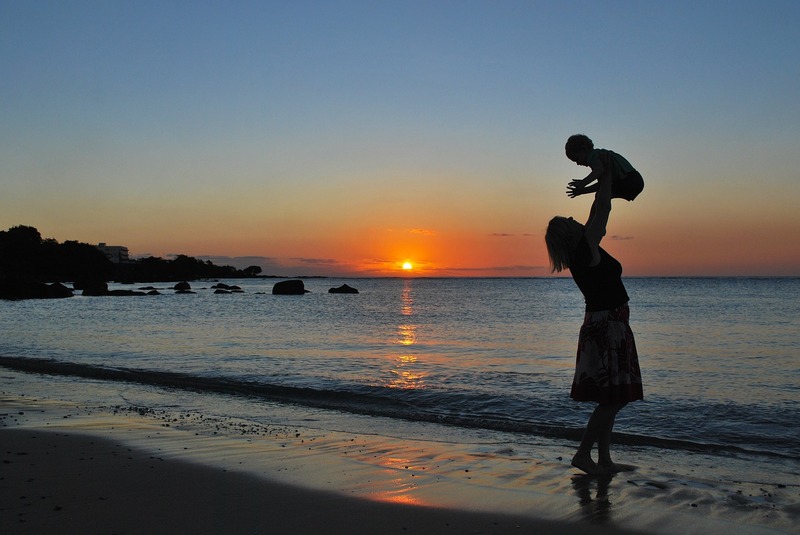 Are you a working mom longing for more quality time? 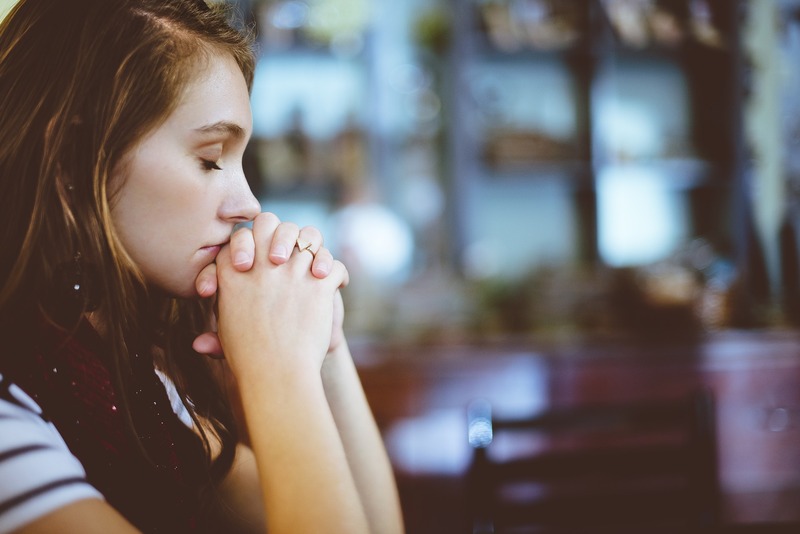 Are you struggling with postpartum depression or anxiety? Month upon month of fertility treatments? Waiting for marriage? All these and more can make the journey feel unbearable. How can we find joy when our hearts ache? For all of us, we must find our hope in the Gospel. There is a sweetness with Jesus that cannot be found but through trials. He alone is our greatest joy, and I pray you will persevere and rest in that love. I found so much comfort in knowing that Christ suffered too, and frequently found myself in deep fellowship with Him and His sufferings. That connection is not found in holding a child, but only in knowing God and letting Him hold you. God the Father mourned as His Son suffered, too. Life is not free from suffering, even as believers in Jesus Christ, even when we receive the good gift of being a mama. God has not walked out on me as I’ve struggled, and neither have the people who love me. Be kind to your aching soul, but remember to celebrate what God has given. Acknowledge any pain, reach out to others who may be longing too, even if you are not. There is healing on the other side. And there is a Healer. Though our desires may not be met on this earth, our hearts will be held by the One who knows us and calls us by name. Last week on a walk with Little P, our garbage man was joyfully bustling about his work, and I casually said, ‘Good morning! How are you?’ (not expecting a response, really!) Much to my surprise, he looked me in the eye and said ‘I’m tired’! I wasn’t ready for that, so I just observed his hard work and joyful attitude, and went on my way. I thought about this as we walked towards the park, and just as we rounded the bend, a big fancy truck zoomed past, almost pushing us off the roadside. I was shocked. Clearly, they had no time for a baby and mom enjoying the day – much more important things to be done – and yet my garbage man took the time to give me a happy, honest reply and relay his humanness. The morning was a beautiful one, low humidity, and a gentle sun that peeked behind a few clouds – thoughtfully blessing us with warmth. The trees are green and beautiful lately, and blooms were everywhere. The tulips and spring flowers bobbed cheerfully in the breeze, and my sweet boy babbled happily at the birds, flowers and puppies we saw along the way. 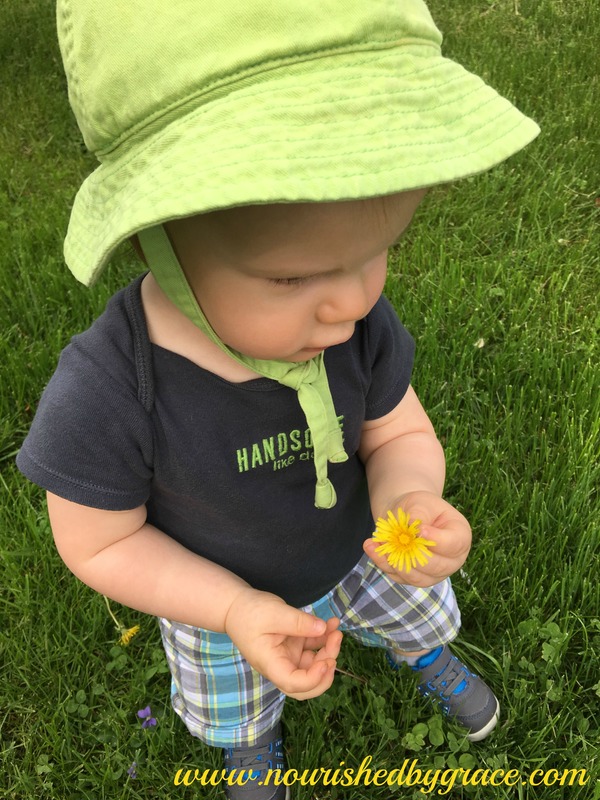 He is full of wonder at the smallest things, and picking dandelions in our yard is his new favorite activity, as well as being outside as often as possible. What about us? Are we forgetting that each day holds joy, wonder and contentment in small and profound ways? How can we acknowledge our vulnerabilities to each other? What simple joys are we missing as we rush through life? Just some thoughts and prompts to focus your thoughts on this morning…. Truly, we can learn a lot from the joy and contentment of babies and people of every worldly status. Jesus certainly thought so and His life is alive in us. Lean in, friends. There is joy and wonder to be found in your busy, stressful day – let’s be on the lookout for those treasures. Saturday, 5:00 am. Woke to the sound of my baby’s cries and remember that he still takes a bottle early in the morning – I should get up and do that. I go to the bathroom, return to our room, try to ignore his cries, and I am reminded that this phase won’t last much longer. I tiptoe to his room next door, and bring the bottle, comfort and cuddles that won’t last forever. As I tuck him back in, I hear the birds chirping, beckoning me to sneak out and watch the sunrise – something I haven’t done in a very long time. I tie on my running shoes, and open the door to a world of wonder – trees blooming, birds chirping happily, sun just beginning to wake up. So too, my soul comes alive as I remember how God invites us into His presence if we but listen. I’ve been trying to listen more closely. And it’s hard, but good. I’m turning from the noise, temptations, and distractions, to see what good things God might be waiting to give just around the corner. 7:00 am. I make a family recipe – Pfannkuchen – and listen to waking and rustling upstairs. Baby babble, happy laughter and tickles, chasing and throwing on the bed…My home is waking up, and I am ready to serve. I’m not always awake at this point, but today feels different. God has been whispering and calling to my heart, and it doesn’t feel as hard to repent from bitterness that has settled in over weeks and months. 9:00 am. Walk with my guys around the neighborhood. These walks are both good and hard, as are most things. Conversations bring connection and also conflict, but I find that God’s earlier preparation of my heart to look for what He has done, and not grasp for what He hasn’t yet, has softened me and brings sweet connection with the ones I love. 11 am. Dishes washed, and my heart has been washed too. I’m alive to God and though the battles still crouch at the door (Genesis 4:7), I’m more in tune with God and what is truly real. What about you? Are you awake to the work of God in your life? I’m finding that small steps early on prepare my body, mind and soul to rest in Him all day. Our Warrior King has won the victory over all sin, flesh and evil. Will we walk in that? Put on those shoes. The birds are chirping and He’s waiting to open the door for you too! Looking for the first step to a healthy body? Hello friends! Some thoughts rolling around in my head, and again it is connected to what I am reading and learning, to where God has us. The weather is turning (at least for this past week!) and I am wondering if it will stay or we’ll go back to winter. Do you ever feel that way in your wellness journey? That roller coaster of success and then disappointment? I do. Having a baby is a wonderful thing, but it certainly takes a toll on your body and I’m not quite back to where I’d like to be. Life can be like that too. We go through a hard season, and it can be easy to get stuck in a mindset of discouragement, rather than looking ahead to what God can do. I’m realizing, again, that my hope is not fully focused on Christ, and that is what leads to this discouragement and lack of hopefulness. A fit body comes from having a fit soul! We cannot put our hope in these earthly things, like wellness and health, or in our circumstances being how we would prefer. It’s a back and forth, up and down ride, that God does not intend for us. He longs for our souls to be anchored in truth. When we fix our eyes completely on Christ, setting our hope in His unchanging character and our eternal hope in heaven, life is steady and fixed on the Rock, even if circumstances are not. It’s hard in this self-help, get-all-you-can-get world that we live in. Life is full of distractions from the narrow way, but God’s way is always the best way for deep, lasting hope. And so, I’m turning back to Christ for my ultimate fulfillment, even as I continue to eat well and exercise, care for my soul, and look forward to a new and hopeful season. Life might go how I hope, and it may not. But my soul is becoming more and more anchored in the One who alone can bring the fullness of joy I crave. What about you? Can you take a moment to consider where your hope lies? What outcomes are you working towards? Do they lead you to Christ and His kingdom? Do they lead you to eternal joy and hope in this life and the one to come? Exercise, nutrition, and a good life are not wrong in and of themselves. God desires good things for us. But more than that, He wants the best things for us, and we must be careful to focus on the best – seeking His kingdom rather than our own. 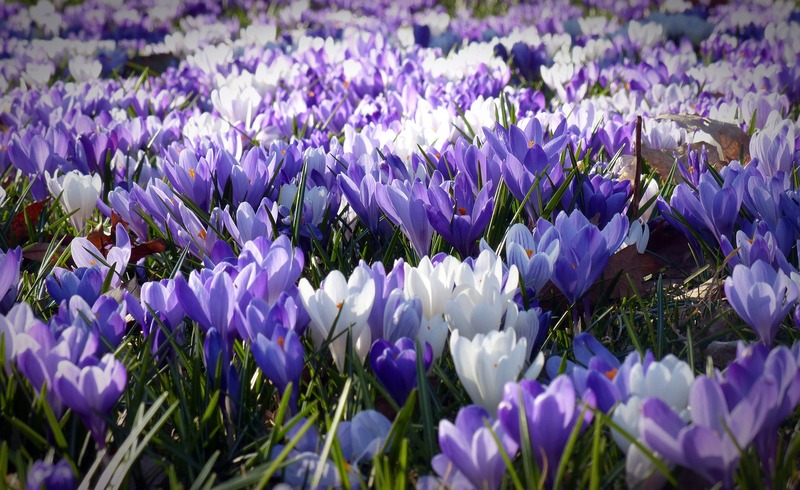 We’re all waiting for the cold and snow to blow away and spring to come in its place. This, too, is what our family has waited for, for quite a while. It has been just like this winter, a back and forth of hope and discouragement – maybe it is going to be winter? No, it’s going to be 50 degrees out! No, it’s actually winter. 🙂 But God has opened the door to a new season of ministry together, and we couldn’t be more excited. True, there are other emotions swirling, as we pinch ourselves and wonder if it’s really true. The prayers we’ve all been praying have been answered! As I reflect on where God is taking us, I’ve been thinking, too, of the Gospel. I tend to fall in the ‘do this and you’ll get this’ mindset, as my natural mode of default, if I am not careful to run to Christ and His Word. It’s a dangerous place, this formulaic approach to life that ultimately brings death and not life. I’m finding it sneak up as we enter this new season, both in ministry and parenting. First let me say, we did not ‘do all the right things’ for God to open up this door, or give us a sweet little boy. I have to keep reminding myself of that. Suffering well honors God, but it does not guarantee His blessing. There are no guarantees. So I’ve been reminded as we move forward that there will still be challenges, ups and downs, and hard days. A blessing does not mean the struggles of life go away completely. Nor does it mean we have ‘figured life out’. That is what the Gospel reminds us – to celebrate the good, but also rejoice during the hard (James 1). Celebration is good and right. 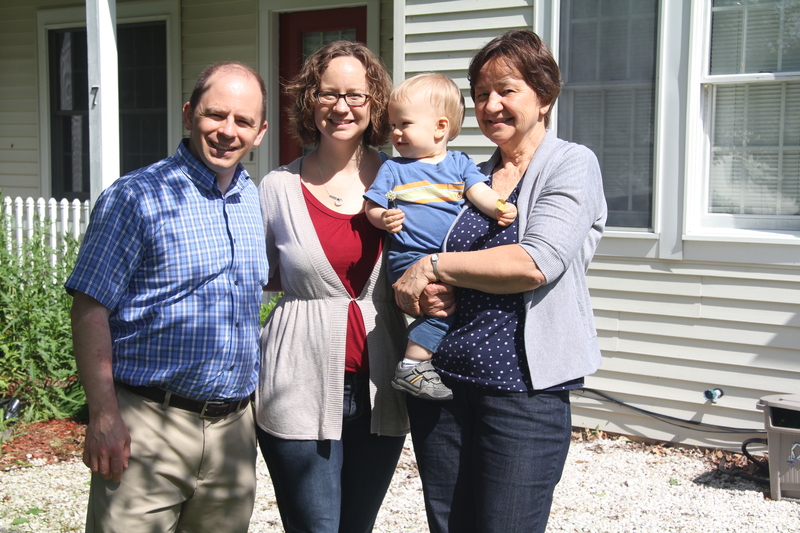 We celebrate this new ministry opportunity, after years of prayer for the right door to open. We celebrate our sweet little P, after waiting, loss, and struggle. And we go back to the Lord and thank Him for what He did not have to give. But had He not given these gifts, the Gospel reminds us that we can still celebrate. It is a painful grace to walk hand in hand with God, through the painful spots, and find Him faithful. 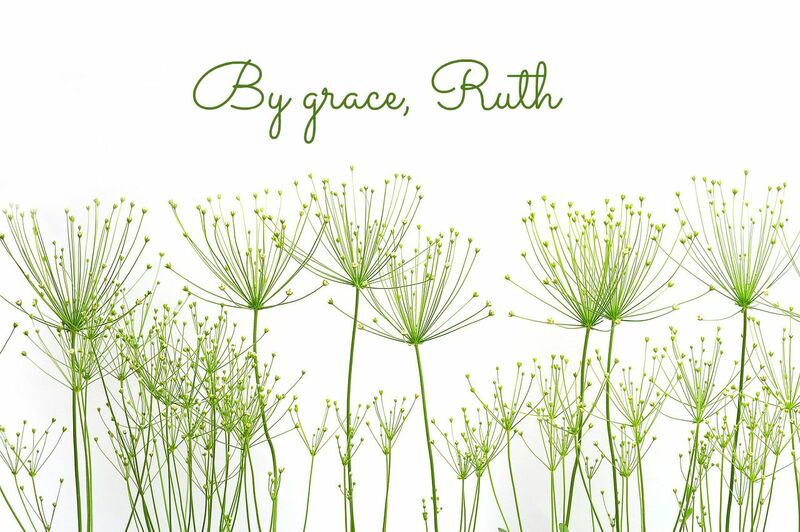 For those lessons of grace, I am ever grateful. I often struggled with jealously as others ‘moved on’ to buying houses, having babies, and living out their calling with joy. But a quote from this book reminds me that we can, in a sense, be jealous of those who have not been blessed with the gifts we have. Theirs is the joy of walking with Christ in His sufferings. The eternal hope that has been forged into our souls during this season is a great gift. So too, do I see this as I study 1 Peter. We are called to suffer for good; we are told we as believers we will suffer, and not to be surprised by this. I’m also starting to see this a + b = c mentality sneak into my parenting. When I rejoice for having parented well, or despair when P disobeys, my heart is convicted that the salvation of his soul, and decision to live in obedience to God or not, is not ultimately in my hands. It is God that saves, not my good efforts at parenting. Yours either. This book is reminding me that Gospel-centered thinking must undergird all we do, not legalistic thinking and parenting. I’m entering into a phase where my sweet boy is developing his own opinions and requires direction and correction. This is requiring new grace for me, and for him. We are both covered by the grace found in the Gospel, and God disciplines me, even as I learn to correct Him in grace-filled, Gospel-centered ways. All this being said, we are beyond grateful to be moving from a very hard, hard season of multiple trials, to one we anticipate will bring much joy and delight, as we serve this body of believers and grow together. We are praising the Giver of good gifts, who knows exactly what we need and when. Thanking God for many of you, too, who have fought for us in the dark times. What a Great God we serve!